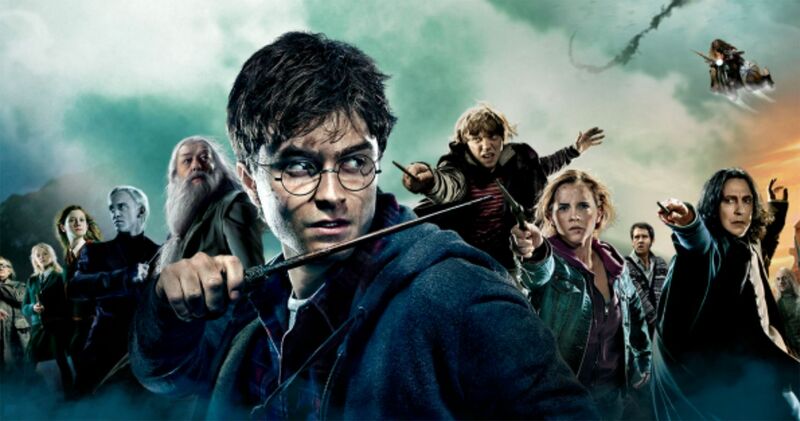 Harry Potter may be the most famous franchise in the world. My generation grew up on them; even future generations are growing up on them, though it’s different movies and a play rather than the original seven books and the eight movie counterpart series. It’s pretty easy to see why they are so huge —the world-building, the characters… everything is magical, amazing, and a great escape from reality. But they aren’t without their controversy and one aspect of that is that when they were originally made into movies, some changes were made for the big screen that really disappointed book fans. I can kind of relate—I love those movies, but as a separate entity from the books. I’d drive myself crazy if I made too many comparisons… and here I am, about to do it anyway. Harry, why did you put your name in the Goblet of Fire?! 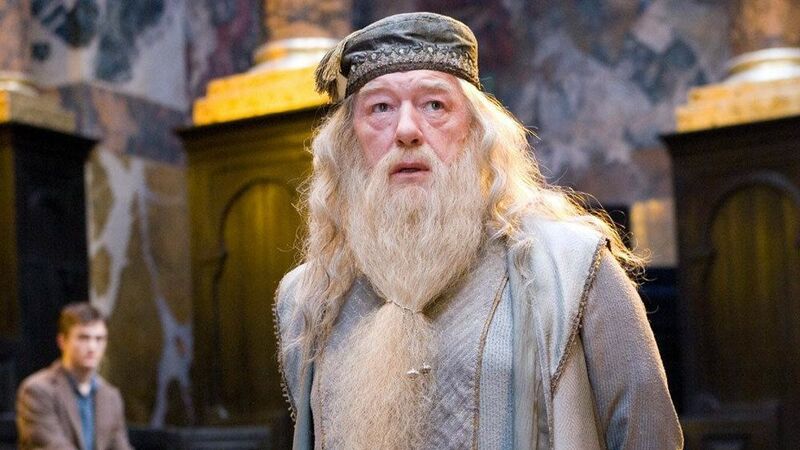 Dumbledore had a very calm, serene personality in the books—in fact, at times it was hard to work out why he was the most powerful wizard of all time (at least, until that epic duel with Voldemort in book five). He was always a very soothing presence for the characters of the books, who felt protected whenever he was around. And yet, in the movies, there are many moments of him being downright explosive—even snapping at Harry who, in my opinion, has been through quite enough. Peeves wasn’t exactly integral to the plot in the books, but he was still a pretty big presence. In case you haven’t read the books and haven’t seen the movie—though if that applies to you, you should rectify it immediately—he was a poltergeist who haunted the halls of Hogwarts and tormented the students. He really came through in book five, though, when Umbridge was making everyone miserable, taking part in the rebellion against her. In the movies, he wasn’t even replaced, he was just cut out entirely. I can kind of understand this one since he wasn’t necessary to make anything move forward, but it still wasn’t quite the same without him. It wasn’t necessarily a change to the story much as it was a part that was omitted entirely, but not explaining the marauders’ backstory in Prisoner of Azkaban is the part that I would say is the biggest mistake. It’s important to know who Moony, Wormtail, Padfoot, and Prongs actually were. Sure, it’s kind of dropped a little bit and then everyone moves on, but they really set the tone for the entire series. They created the map. They have a bunch of history that predates the series and sets the tone for a lot of it. In my opinion, they just didn’t get enough attention or explanation. Honestly, this one was a bit of a fail in the books too. 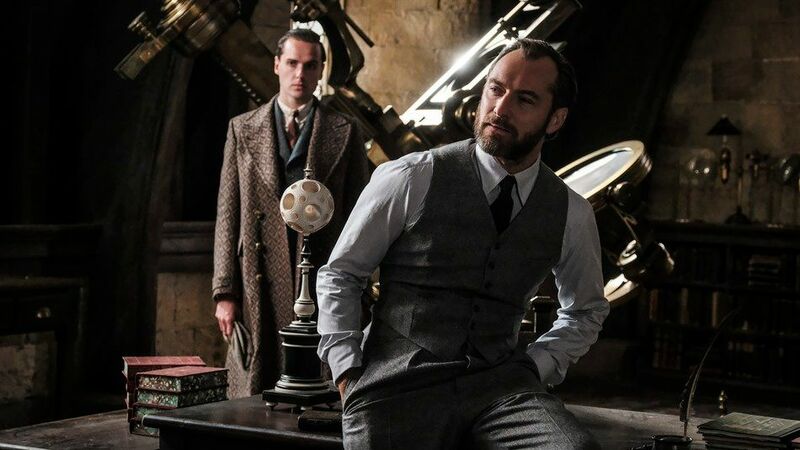 We’re told that Dumbledore and Grindelwald had an intense backstory, that they were very close and then what happened with Dumbledore’s sister separated them. This was changed entirely in the films, with Grindelwald essentially being presented as an earlier Voldemort. Okay. Not great, since Deathly Hallows was split into two movies and could easily have fit this in, but okay. Then J.K. Rowling announced Dumbledore was actually in love with Grindelwald… and then said she wasn’t going to include it in the Fantastic Beasts movies either. Why? It’s interesting, and it’s good representation. Why would you leave this out?! In the book, death is… pretty normal. 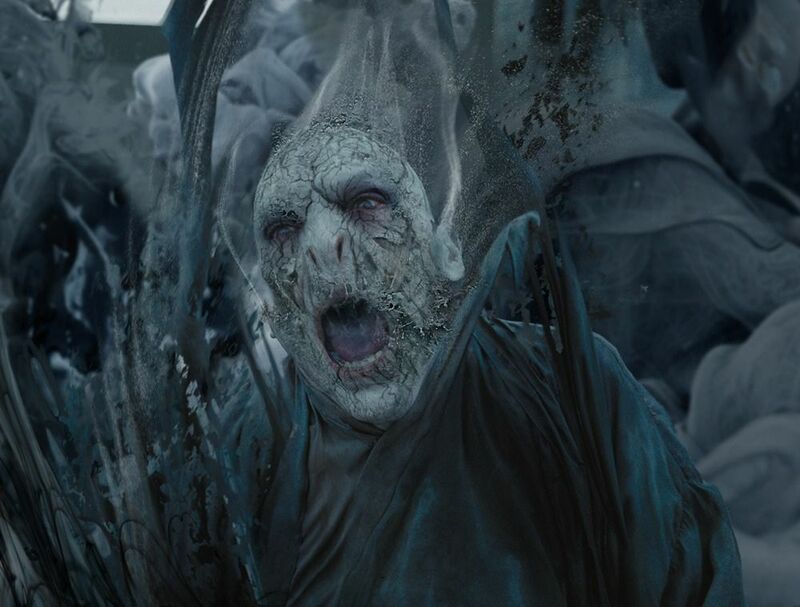 Despite the spell itself being as magical as you’d think, Voldemort dies pretty normally—his corpse is on the floor. Same with Bellatrix. In the movie, they turn to ash. It’s weird, because it’s not done to be family-friendly—we’ve seen plenty of corpses in these movies—so why the change as to how they die? Why are they turning to ash and blowing away on our screen? Maybe they thought it’d be cinematic but to be honest, it just kind of made me cringe. It made me take the deaths a lot less seriously than I otherwise would have. It was extremely relevant to the story that Lily and Harry both had green eyes. It was why Snape hated looking at Harry. It was said constantly by so many characters that they had the same eyes. When the movies were being created, Rowling even said this was important. Radcliffe couldn’t wear contacts the whole time as they were deeply uncomfortable which, of course, is fine. But all they had to do was make sure that the actress who played Lily and Daniel Radcliffe had the same eye colour. Didn’t have to be green. Just… the same colour. They dropped the ball, of course. And by sad, I mean pathetic. His death is so poignant in the books. 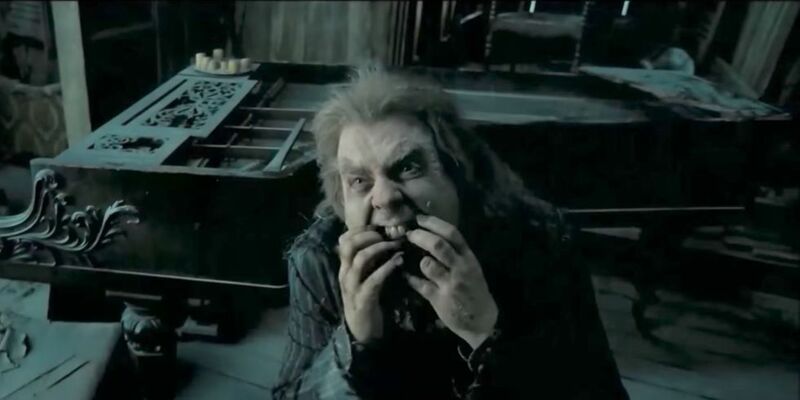 His own silver hand strangles him (the one given to him by Lord Voldemort), because he decides to spare Harry. And what with the entire Marauder backstory about his friendship with James, and how he betrayed him, it’s pretty relevant that he eventually spares Harry—because Harry spared him too, and Peter owes him a debt. It would have taken, what —thirty seconds more to include all of this in the movies? Sixty, max? And it would have given Wormtail a lot more depth rather than make him a comic relief Death Eater. 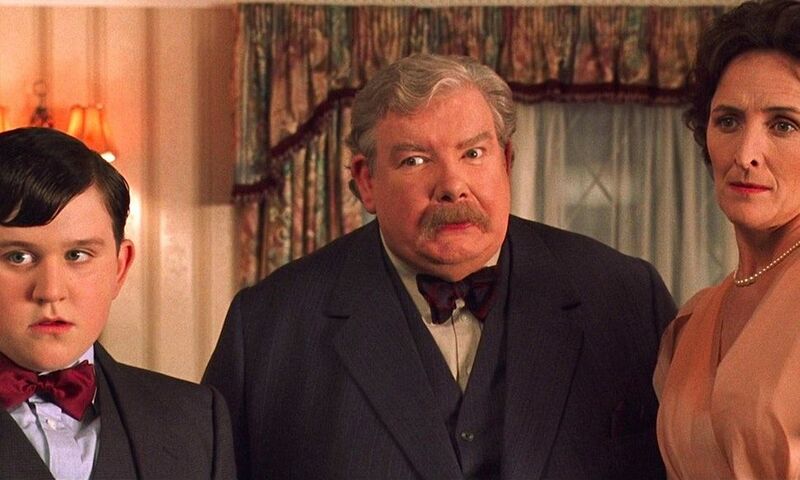 Now, don’t get me wrong—I don’t really think the Dursleys deserved any redemption, or any forgiveness from Harry. They neglected and abused a child who didn’t deserve it, made his entire life miserable. But in the books, their final goodbye is way more emotional. Petunia can barely look at her nephew. Dudley shakes Harry’s hand and tells him that he doesn’t consider him a waste of space. That seems like a pretty low-key thing to say but when you consider Dudley’s ignorant, bullying history, it’s huge for Dudley to disagree with Vernon and stick up for Harry. They should have taken a couple of extra minutes to do this in the movie too. Ugh. Why is their chemistry so awkward on screen? Maybe it’s because of the writing. Rather than a couple of awkward shared kisses, they have so many good moments together in the books and Ginny is written to be much, much fiercer. She makes jokes about the women who have crushes on Harry, talking about his non-existent tattoos; she accepts his break-up with her when he goes off to hunt horcruxes because she knows it’s what he has to do, and she loves him. There’s none of this in the movies. 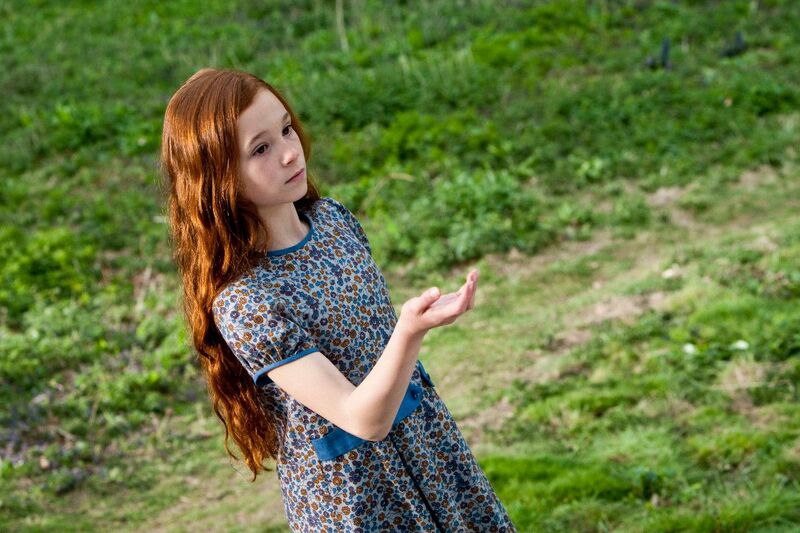 She never really evolves from Ron’s awkward little sister only crushing on Harry because he’s a celebrity. 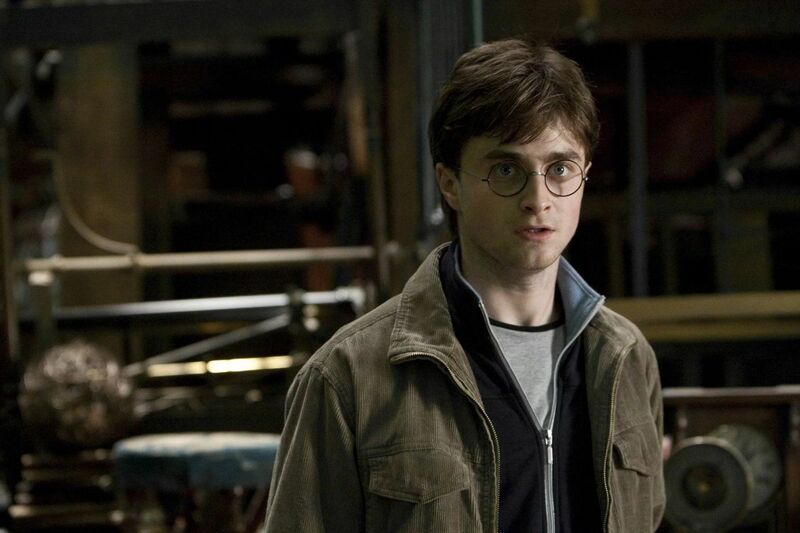 Only dedicated book readers might have picked up on this one, or someone who went back and read the books immediately after seeing the movies, but Harry’s personality is written quite differently between the books and movies. The staples are the same—he’s courageous, he’s fierce, he’s compassionate. But in the books, he’s so much more full of life—he’s hot-headed, bad-tempered, and sarcastic. His personality in the books just makes him more amusing and so much more human. We can relate to his faults as much as we can admire his strengths. Never forget: there’s no need to call me sir, Professor.